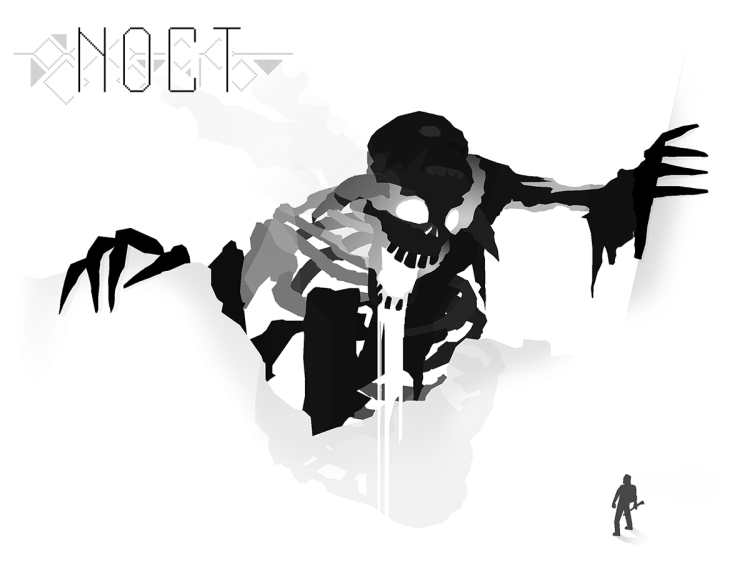 Noct is a top-down survival horror video game by indie developer Chris Eskins that is viewed through the lens of a thermal imaging satellite — lending a creepy, black and white monochrome style to the game. The premise of the game, which includes multiplayer, places the protagonist in a world firmly entrenched in “the aftermath of an apocalypse” that has brought about horrifying creatures that now inhabit the devastated landscape. Eskins is currently raising funds for the video game via a Kickstarter crowdfunding campaign.